as on 1st January, 2019. ₹51,550-1230-58930-1380-63070 p.m. plus other allowances as admissible under the Rules. On the basis of examination and personal interview. Eligible candidates may apply online at Meghalaya High Court's website (direct link is given below) from 18 Apr 2019 01:00 PM to 30 Apr 2019. 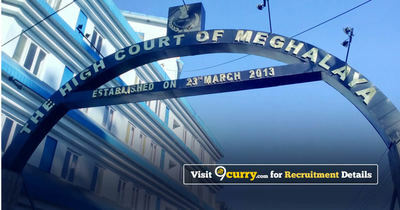 Candidates log on to http://meghalayahighcourt.nic.in/.